Cooking at the table together with friends makes fun. For the stoves the burner is of main importance. All stoves of Kisag are equipped with the safety gas burner from Kisag. They guarantee safety and an optimal servicing comfort. 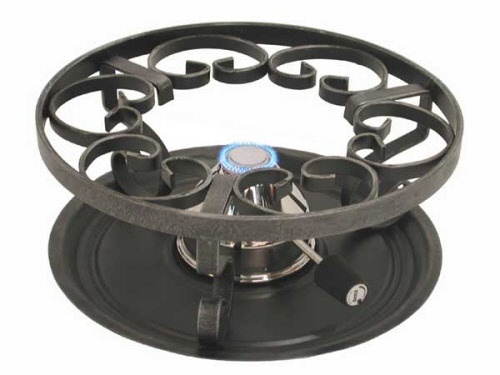 Outstanding heating performance, clean, blue and odourless flame, infinitely variable and finely adjustable flame-Kisag stoves with the safety gas burner are specially suitable for cooking at the table.